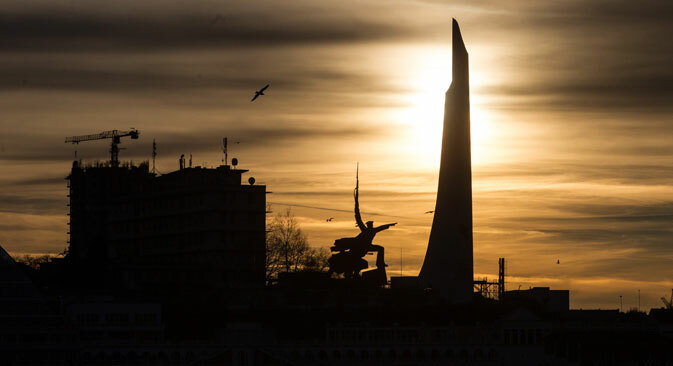 Taking on Crimea will cost Russia financially as well as politically. While the international community is debating the price Russia willpay should it annex Crimea, the Russian government is calculating how much it will cost to maintain the region’s public services. According to various sources, Crimea may need investment of between $3-5 billion per year to cover social benefits, its budget deficit and infrastructure expenses, including the construction of a bridge across the Kerch Strait to link Crimea to Russia. The region will also need new sources of electricity, water and fuel. On March 17, Russia allocated Crimea 15 billion rubles ($400 million). According to Yekaterina Obukhovskaya, an expert from the Obshchestvennaya Duma (Public Opinion) analytical center, about 200,000 people work in the public sector of Crimea, and according to data from the Ukrainian statistical agency in February, their average salary was 12,500 rubles ($340). In Russia, this figure is almost three times higher – 30,000 rubles ($800 dollars). To raise wages to Russian levels will cost 3.5 billion rubles per month, or 42 billion per year ($1.4 billion). Besides social investment, Russia will need to invest in infrastructure. If Ukraine cuts off Crimea from the electrical grid, transmission lines will have to be built across the Kerch Strait to supply the peninsula with energy, according to Alexander Khurudzhi, chairman of the board of Russia’s noncommercial territorial grid network. The quickest option – laying them across the bottom of Kerch Strait – would cost approximately 18 billion rubles ($490 million), according to experts. Russia’s Energy Ministry declined to comment.